Nobody asked for Cho’Gath to be buffed but he’s getting a boost anyway. 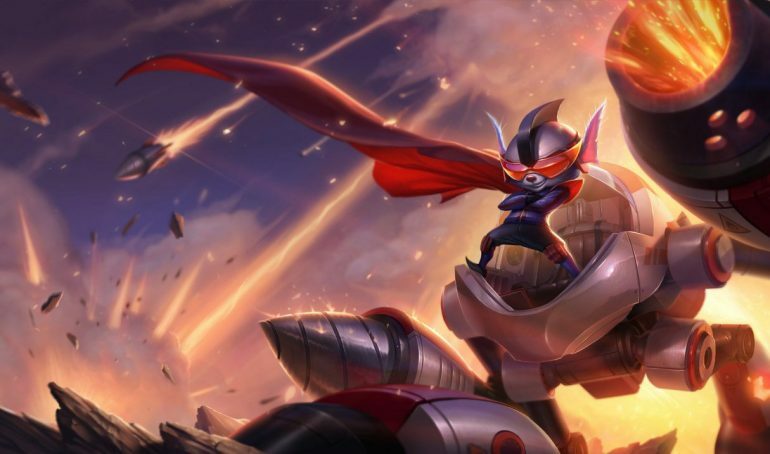 Get ready to Rumble, League of Legends fans, because big top lane buffs are coming in Patch 9.7. No seriously, break out that Rumble, because he is one of the top lane champions that might be back now. So dust off his coolest skins, practice hitting his E, and remember to take his ultimate off of smart cast. Nothing feels worse than missing a game-changing Equalizer because you thought you had it on click-and-drag. Equalizer is actually the buff that jumps off the page. It’s getting a big cooldown buff from 110/100/90 seconds to 100/85/70. The interesting thing is, according to League stats site Champion.gg, Rumble is already a good late-game champion, with his win rate spiking above 54 percent after 40 minutes. Now at level 16, his ult will basically always be available for fights. But the bigger buff may be more movement speed on Rumble’s W. The boost doubles from 10 percent at rank one to 20 percent and scales at the same rate as before. It’s the rank one boost that’s most important because Rumble maxes this skill last. It gives him some chase potential, especially if he hits his slow, and also affords him some safety against bad matchups. Other changes to top lane include buffs to old standbys Garen and Mundo. If this sounds like déjà vu, it is: Nearly a year ago exactly, Riot buffed these exact two champions. Back then, the buffs really helped Mundo, and today, that’s the same case. Mundo’s rank on cleaver now does 20 percent of a target’s current health. Yup, that’s one-fifth of your health bar gone in a chunk. And he gets more AD with his E now too. Garen is less scary, just getting some tankiness on his W. So once again, Mundo wins this trade. The final top lane buff is one that nobody asked for. Cho’Gath is a disgusting champion with his multiple forms of CC, percent-health damage, and range advantage over other tanks. His Q knockup gets a CD reduction from nine seconds to seven. Again, who asked for this? On balance though, these are good changes to League’s top lane meta. It’s starting to get a little stale up there, especially with the resurgence of Urgot (again). And while Urgot is getting nerfed this patch, we favor buffing selective champions more than nerfs because buffs really help players figure out different things to do in the role. Let the top lane rumble begin. Patch 9.7 should drop on April 4.